“Susan” is one of our ministry volunteers at Ridge View Academy and since she’s a GED instructor at a penitentiary (that’s why I’m not using her real name), she can share from a no-nonsense, “in your face” perspective. Her text a few days ago reminded me to send a letter to Jahlil – he was sent to her prison 16 months ago. Jahlil and I met each other more than 5 years ago, and like so many juvenile offenders, he cycled in and out of group homes and treatment facilities (Including RVA) for years. Despite the many conversations we had, and the Bible studies he attended, the “Jahlil” he let me see was not the “Jahlil” who ran the streets when he wasn’t locked up. In November of 2015 while he was home, I took Jahlil to a Smashburger but it was apparent his faith had not taken hold in his life. He promised he’d call me again, but he never did. Two months later, an off-duty sheriff was critically wounded, but he was able to return fire and shot one of his assailants in the leg. I prayed for the cop, but I did not give the tragedy more thought. All that changed when just a few days later, I saw Jahlil again in jail – on crutches. Jahlil’s expression told me what I didn’t want to believe, but later, I was told he had been charged with the shooting. A year later, he was found guilty as an adult and given a 20-year sentence. After he turned 18, Jahlil was processed into the Department of Corrections, and was sent to the prison where Susan works. Five months ago, Jahlil started his GED classes and that’s when they reconnected. His letters have been filled with pain and struggles, but I still believe Christ is doing a work in his heart, and that He’ll keep doing that through Susan. 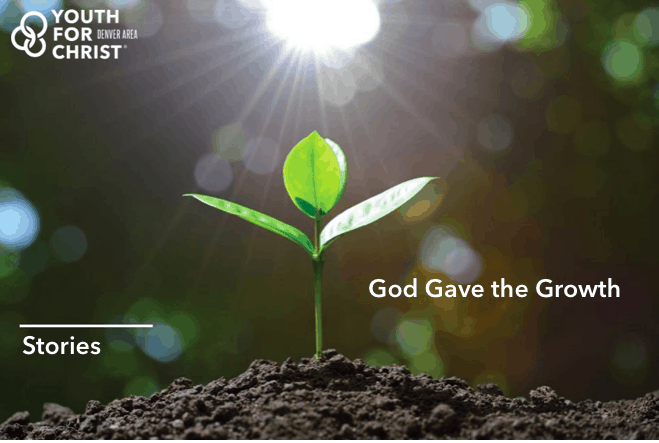 Susan’s role in Jahlil’s life is a beautiful example of Paul’s words in I Corinthians 3: “I planted, Apollos watered, but God gave the growth. So neither he who plants nor he who waters is anything, but only God who gives the growth.” Through your prayers and financial partnership, you too are a part of Christ’s redeeming and restoring work in Jahlil’s life, and in so many others who are locked away from society.